It’s hard to believe, but we’re a quarter of the way through 2019 already! From Resident Evil 2 to Sekiro, so many amazing games have been released already this year and even more are on the way this month (including some from our “best of” list). Here are the top upcoming April games. Didn’t a Borderlands Game of the Year Edition already come out? Yes, it did – when the game first released to critical acclaim almost 10 years ago. Now as the first of our top upcoming April games, get ready to gear up for the release of the upcoming Borderlands 3. Everything from character models and textures, to lighting effects and HDR have been optimised for next-gen systems. In addition, the new Borderlands GOTY Edition will now feature a mini-map like Borderlands 2, new legendary weapons, a tougher final boss, and 4-player split-screen co-op! As always, with this special edition comes all of the game’s original DLC. The best thing about it is all PC players who own the original Borderlands will get the upgraded version for free! So buy your copy now and start playing this new release. Three best-selling visual novel adventures are finally available in one bundle! Experience the thrill of the courtroom as extraordinary attorney Phoenix Wright, and save your clients from the blame of crimes they didn’t commit! The Ace Attorney bundle features three games spanning 14 episodes in one action-packed collection. Solve mysteries, uncover the truth, and deliver justice to those who deserve it most in the Phoenix Wright: Ace Attorney Trilogy. World War Z is set to bring you some of the most heart-pounding co-op action since Left for Dead. Based on the movie of the same name, this 4-player cooperative shooter will put you up against swarm after swarm of bloodthirsty zombies. With solid teamwork (and a massive arsenal of unique weaponry) you’ll attempt to survive against overwhelming odds. And, as the name suggests, you’ll experience the effects of a zombie outbreak in locations around the world! Journey with your friends to Moscow, New York, Tokyo, and more as you fight for survival! The critically acclaimed Real-Time Strategy game is back with another round of carefully crafted city buildings. In Anno 1800, you’ll take control during one of the most pivotal moments in modern history: the Industrial Revolution! The world is changing more rapidly than ever before, and it’s up to you to decide where this growth will lead. In Anno 1800 you’ll define your role as a leader though strategy, diplomacy, exploration, and alliances; as you carve a unique patch for your civilisation. Will you be a vicious conqueror or a polite diplomat? A creator of new ideas, or an exploiter of free labour? Decide how the world will remember your name in Anno 1800. 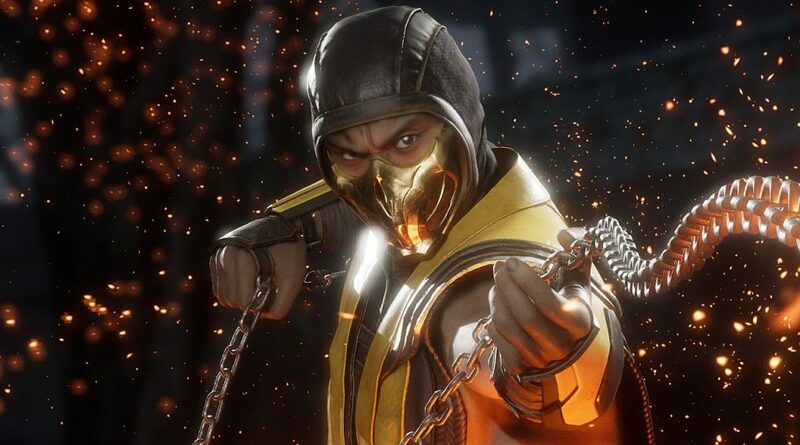 In addition to an all-new game engine, Mortal Kombat 11 features a new fatality system, anew character customisation system, and a greater focus on multiplayer. All of the brutal details in Mortal Kombat 11 are more vibrant and eye-popping (literally) than ever before. Master a roster of both new and Klassic fighters, each with their own special abilities, combos, and of course… fatalities! And make each fighter your own with the all-new Custom Character Variations. Prepare for the most ambitious release yet in one of the most iconic and long-running game series ever! Mortal Kombat 11 is a gaming event that’s been over 25 years in the making! It’s time to change the course of history in Imperator: Rome! Experience the challenges and immense rewards of being an all-powerful ruler in the era between Alexander the Great and the founding of Rome. Manage a diverse population, fend off invaders, and develop alliances with other nations. Just make sure you watch your back… With great power comes a great amount of treacherous individuals trying to steal it for themselves! The final in our list of upcoming April games, Days Gone looks like an awesome combination of Sons of Anarchy and The Walking Dead. It’s yet another (we’re not complaining) open-world game coming in 2019 that’s one part action-adventure and one part survival horror. Days Gone is being developed by a studio called SIE– the very same studio responsible for the legendary Siphon Filter franchise! Let us know which of the upcoming April games you are most excited about in the comments below, and follow us on Twitter, Facebook, and Instagram for more updates on the latest releases!